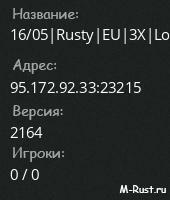 Welcome to Rusty, biggest modded server Community in Rust running since 2014! 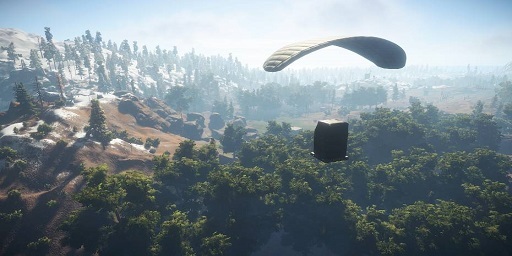 - High performance dedicated machine sums up to a smooth Rust experience. - Custom plugins and AntiCheat, unique Events, NO playing admins, ever! - Progressive and well balanced loot, balanced plugins and kits. - Skip Queue is available also and it takes effect instantly, check VIP section at the website. Visit www.isrusty.net for more information on VIP and Rules, list of servers. Also click the Discord link if you need any help or have any questions!